Virginia Woolf's To the Lighthouse is one of her greatest literary achievements and among the most influential novels of the twentieth century. The serene and maternal Mrs. Ramsay, the tragic yet absurd Mr. Ramsay, and their children and assorted guests are on holiday on the Isle of Skye. From the seemingly trivial postponement of a visit to a nearby lighthouse, Woolf constructs a remarkable, moving examination of the complex tensions and allegiances of family life and the conflict between men and women. (Adeline) Virginia Woolf was an English novelist and essayist regarded as one of the foremost modernist literary figures of the twentieth century. 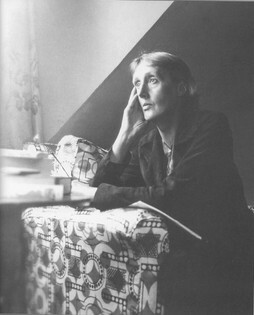 During the interwar period, Woolf was a significant figure in London literary society and a member of the Bloomsbury Group. Her most famous works include the novels Mrs Dalloway (1925) , To the Lighthouse (1927) , and Orlando (1928) , and the book-length essay A Room of One's Own (1929) with its famous dictum, "a woman must have money and a room of her own if she is to write fiction. "